Unknown assailants have killed a chieftain of the All Progressives Congress in the Federal Capital Territory, Pastor Benjamin Imeogu. The attackers also injured his wife and their three children, who were present at the time the deceased was murdered. 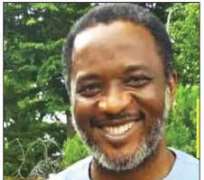 Imeogu, who was the Chairman of the APC panel on the conduct of the National Assembly primaries in the FCT, was reportedly shot five times on the chest at close range along the Nnamdi Azikiwe Airport Road, Abuja, around 9.30pm on Thursday. It was gathered that the wife of the deceased and one of their sons were critically injured as they also received gunshots with bullets piercing their stomachs. The other two children escaped with minor injuries. Imeogu's remains have been deposited at the National Hospital's morgue, while his wife and son are battling for their lives at an undisclosed hospital. It could not, however, be confirmed whether the attack was connected to the Abuja Municipal Area Council elections in which the deceased actively participated as the Chairman of the electoral committee. Members of the Transforming Church, Galadimawa, Abuja, where Imeogu was a prominent member, have been paying tributes to the late politician. In a post on Facebook, Imeogu's friend, Opeyemi Ogunsakin, said he hugged the late politician after a church service on the day he was killed. He described the deceased as a great believer in Nigeria, who loved God and the church. Ogunsakin wrote, “The pain is excruciating and intractable; we just hugged and left church Thursday evening and the next thing is the call…seeing you lifeless with all those bullets into your heart breaks me. Nwanna said, “Pastor Imeogu, without mincing words, the news of your death shocked me to the roots. You weren't just the best leader I served under but was always ready to listen to me; even in death, I celebrate you. The FCT police spokesperson, DSP Anjuguri Manzah, promised to provide an update on the incident, but he had yet to do so as of the time of filing this report.